NetBigs Review 2019: Is NetBigs a Good Hosting? 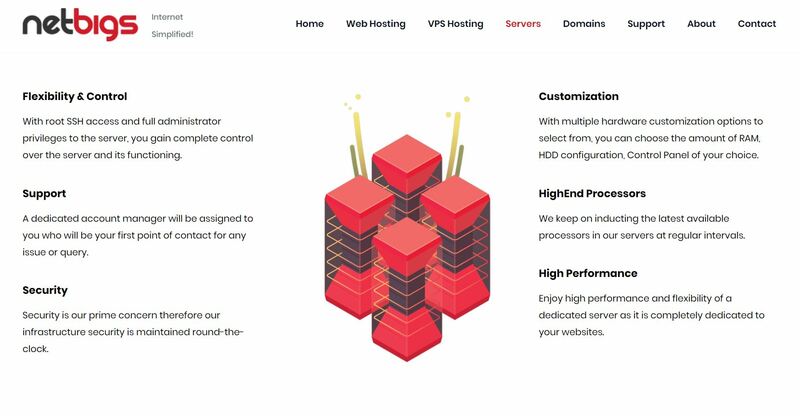 For a relatively recent company, NetBigs offers a surprisingly wide range of hosting products at competitive prices backed by beginner-friendly tools. Although NetBigs was born in Kerala, India, in 2015, it aims to deliver “the best Australian web hosting service and support available” to web developers, designers, digital entrepreneurs, and innovators. The NetBigs website is in English, but its customer support section can be switched into 25 additional languages. All the web hosting packages also come with the Softaculous installer for free, so you can easily install more than 300 additional apps. NetBigs uses Litespeed Web Server and Cloudflare CDN to boost the loading speed of your website, and the CloudLinux operating system to isolate you from the adverse effects of other shared hosting users. Backups are all done daily and are kept for more than 75 days. Web hosting is offered on three price plans: Big Starter, Big Business, and Big Expert. All these plans come with unlimited bandwidth and a free private SSL certificate. The Big Starter plan provides 5 GB disk space, while the other two plans provide unlimited disk space. Both Big Starter and Big Business come with one hosted domain, while Big Expert comes with unlimited hosted domains. Prices are lower than the market average, and you can choose to be billed on a monthly, quarterly, semi-annual, annual, or biennial basis using PayPal, Alertpay (now Payza) or LibertyPay. There is a 30-day money-back guarantee that should get you out of your commitment if you change your mind within the first month. Unfortunately, NetBigs gets low marks for customer support. You can contact the support team via ticket or email, but the live chat link leads nowhere, and the knowledge base link leads to a “not found” page. Although this provider advertises a 24-hour response time, my initial approach (admittedly as a non-customer) went unanswered for several days… and counting. Even though NetBigs can be considered a relatively new web hosting company, it covers all the hosting services bases for both business and personal customers. The only real setback is the poor support resources and response. For a relatively recent hosting company that thinks big, visit NetBigs. Wondering how NetBigs stacks up against other Web Hosting companies? Enter any other Web Hosting company and we will give you a side-by-side comparison.